Once again, some projects for the show this weekend. The previous versions of these have been good sellers. These are the same design as my previous boxes, only difference is I changed the finger joint shape a little (fully rounded all edges) and left out the tray. 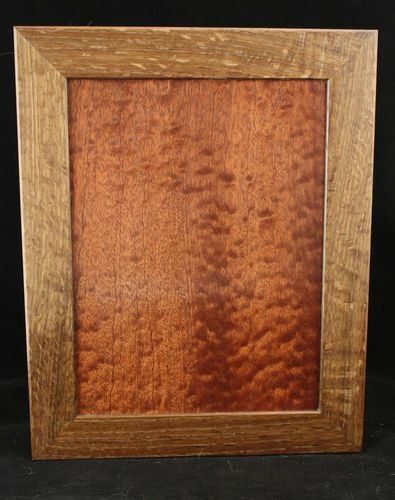 Interior is 6”x8”x2.75”, fumed white oak top frame and base, finished with danish oil and Homers. The lid interiors are cherry, also fumed. Felt on the interior bottoms. I have a lot of veneer scraps so the lids presented me with a place to dispose of them. 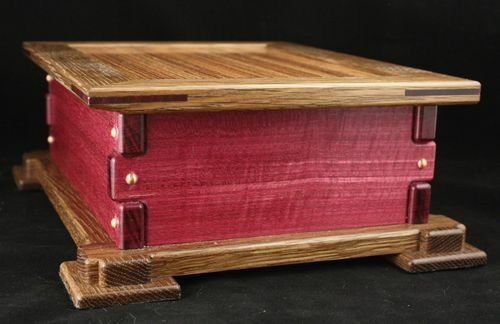 A rather eclectic combination of woods/colors, but if you don’t try…..
Purple heart box with a zebra wood lid. The lid splines are also PH. 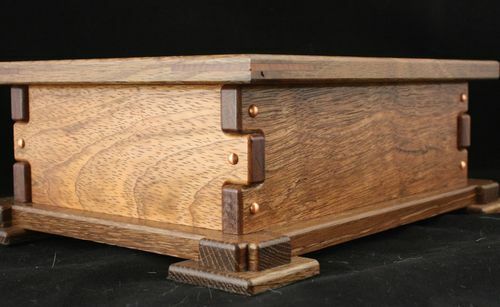 Canary box body with curly English sycamore lid. Canary splines. 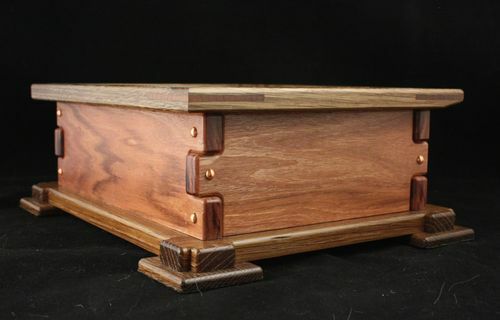 wow nice set of boxes.i love the g&g look and your combo of woods is great.what did you use for the metal pins,are they hammered in,or maybe epoxied? i gotta say my favorite one is-ALL OF THEM!nice job. Beautiful wood in the boxes, real treasure keepers. The pins are 1” x 1/8” round head copper rivets. They are actually all that hold the sides together. I drill .128” (#30) holes a tad over 1” deep with the sides all clamped together and squared up. A few notches on the sides of the rivets gives the epoxy something to bite into. I use a syringe to apply the epoxy into the bottom of the holes with just enough to get a grip without squeezing out any excess. Clamps are then reapplied to force the rivets down and hold everything together until the epoxy dries. 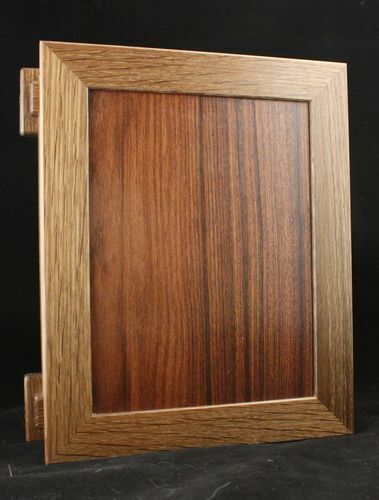 That is a nice design and wood combination . 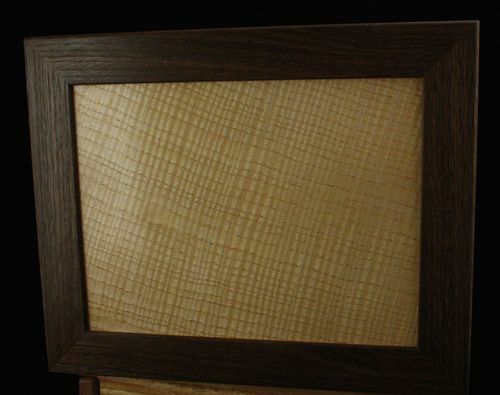 You should do well at the show with these and I hope you price them properly as they look like top craftsmanship . Very nice! I like the base/foot design. Nice work, Bruce. Very unique!! Kiefer, I’ll try for $90 each. People around here are rather cheap unless something is truly unique. 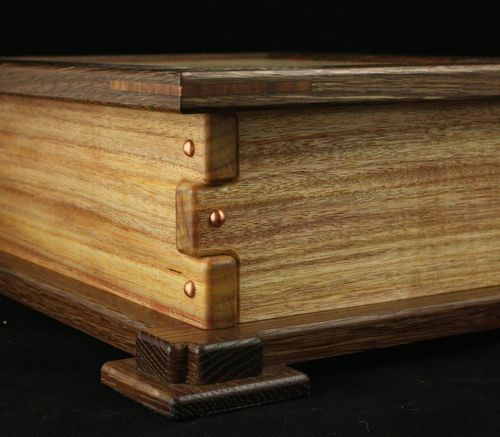 The box I made before with the fractal burning was one that sold easily at a higher price. This is really beautiful work. I bet you sell all of them. 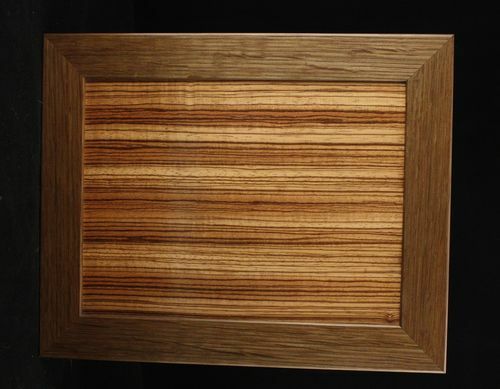 I love your design and fabulous wood selections. Great job! These are really eye catching. Like the design and various combinations. Wow, those are beautiful! Nice work.